Data showed the transaction volume hiked by more than sevenfold growth during the event. In the light of the biggest online sale event during 11.11 and 12.12, MOLPay, the leading Southeast Asia payment gateway has recorded more than sevenfold growth in its transaction volume. As expected from the growing e-commerce industry, the sale event has preceded the past record with high processed transactions during this period. In conjunction to the event, MOLPay reported that the highest number of transactions were captured during the first and last hours of the sales. One of the transaction channels, MOLPay Cash at 7-Eleven, had also shown a massive growth with more than 40,000 transactions per day during the event. "This is a strong sign that online shopping nowadays are common among Malaysians and online payment is getting more secure. Seeing this surge, we have high anticipation to cater a wider market for next year's sales events together with more onboarding merchants around Malaysia, Taiwan and Southeast Asia." said MOLPay CEO, Eng Sheng Guan. Living up to the hype of the biggest sale event, MOLPay ensured that the technical system is fully ready in capturing the massive amount of transactions. A meticulous preparation was done to ensure smooth and a high-quality shopping experience for the online crowd. Eng also mentioned, "As this was the most awaited event by our e-commerce partners and shoppers, our team was on 72-hours standby to ensure that the sales ended successfully with no disappointing issues arise." MOLPay is known for serving a number of local favourite e-commerce platforms, not only Lazada but also 11street, Hermo, Fashionvalet, Traveloka and more. Considering the names mentioned, MOLPay has proven its exceptional ability to support and process the massive transactions number at any given time. This year's online sales event has marked an important milestone for e-commerce in Malaysia as it broke a record with having billion number of shoppers in a day. Among the factors that pushed this milestone were due to the active promotion of the e-commerce merchants as well as the efficiency and improved performance of the payment system. Through this record, MOLPay also passed the important milestone for 2017, following the recognition of being the fast growing fintech in Malaysia. 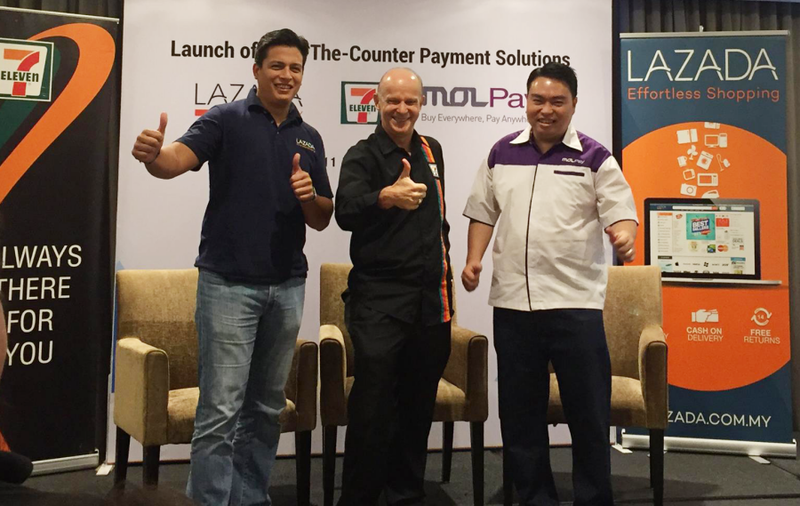 This has made MOLPay to consistently take up a large portion of online payment industry in Malaysia, considering its success in acquiring the top online shopping websites. MOLPay has been accepting credit/debit card payment, domestic internet banking with more than 100 banks in Southeast Asia and online-to-offline payment at 7-Eleven known as MOLPay Cash. To note, the company is complied with the highest global data security standard.